World Champions West Indies were handed a reality check as they succumbed to a defeat against a new-look England side in the first T20I. They now play catch up as they look to keep the series alive in the second T20I set to be held on Friday in St. Kitts. England exceeded expectations in the opener, with the likes of Tom Curran and Jonny Bairstow putting forth match-winning performances. They will be hoping to beat the hosts and seal the series as consolation following their disappointing Test and ODI campaigns. West Indies are no pushovers, though, especially in their own backyard. 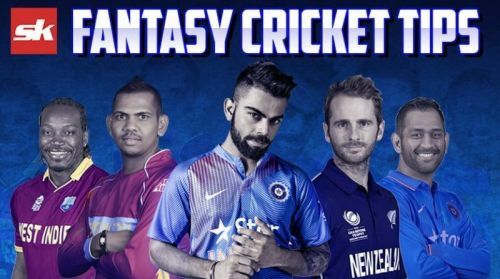 Here are a few tips to help you pick your Dream11 team for this match. Jason Holder(C), Chris Gayle, John Campbell, Shimron Hetmyer, Shai Hope, Darren Bravo, Nicolas Pooran, Carlos Brathwaite, Fabian Allen, Ashley Nurse, Sheldon Cottrell, Oshane Thomas, Obed McCoy, Devendra Bishoo. Promising pacer Obed McCoy has been added to the squad as a replacement for the injury-prone Andre Russell yet he isn't likely to feature in the playing XI. Nicolas Pooran justified his selection over John Campbell with a fifty as he propelled the hosts to a par score. He should keep his place in the side, while Devendra Bishoo could replace Allen. Chris Gayle and Shai Hope form a fearsome opening pair while the presence of Shimron Hetmyer, Carlos Brathwaite and Pooran adds much-needed firepower towards the end of the innings. Possible XI: Gayle, Hope(WK), Bravo, Hetmyer, Pooran, Brathwaite, Holder(C), Bishoo/Allen, Nurse, Cottrell and Oshane. Not many changes are expected for England who will be looking to seal the series with a game to spare. Much is expected of the experienced pair of Root and Morgan, who couldn't contribute much in the first T20I. Liam Plunkett and David Willey are in danger of missing out after lackluster shifts with the ball, with Mark Wood and Sam Curran waiting on the sidelines. Root could also be afforded a rest after a long and hard tour. A high scoring encounter is expected with anything over 160 considered to be par. A number of boundaries are also on the cards with variations set to play a major role for the bowlers on this pitch. The team that wins the toss could incline towards chasing, with the pitch set to play better in the second innings. Wicket-keeper: Both Shai Hope and Jonny Bairstow are credible options, with both of them capable of scoring big in the first six overs. Bairstow's blitzkrieg in the first T20I holds him in good stead, giving him the nod over the West Indian. Batsmen: Statistically, Chris Gayle is the best T20 batsman in the world and with his form, he is a must-have player in the side. Along with the big Jamaican, Alex Hales and Shimron Hetmyer are also great options to have with their ability to clear the boundary with ease. All-rounders: Tom Curran, Joe Denly and Carlos Brathwaite are the ideal set of players to choose from a talented pool of all-rounders in the contest. Sydney Sixers team-mates, Curran and Denly are in good shape while Carlos Brathwaite brings the X-Factor with his fearless brand of cricket. Bowlers: Chris Jordan and Adil Rashid are great picks to have in the side while Oshane Thomas and Sheldon Cottrell are the only wicket-taking options from the Windies and should be picked without any hesitation. Captain: Chris Gayle and Alex Hales are the front-runners for the mantle of captaincy, with both of them in good form since the Bangladesh Premier League 2019. If one were to pick a different option, Shimron Hetmyer and Joe Denly are also more than capable.